About 20 years ago, a student said “I never would have dropped out of college if I had my posse with me.” That is what sparked the creation of the Posse Program. The Posse Program aims to send groups of students to a college together, so they can work within a support system. These students work together throughout their years at college and help each other along the way. Colleges and universities partner with the Posse Program to offer students the chance to excel in academics, leadership skills, and above all, the chance to meet people from diverse backgrounds. Posse has 33 partner colleges and universities that include Vanderbilt College, University of California (Berkeley), Tulane University, and Boston University. The foundation offers students full scholarships to go to one of their partner colleges. To get into the Posse Program, one must be nominated by a community leader or by a high school administrator. At BSGE, you must be nominated by Peter Wilson to get into the program. One must also have academic potential, leadership skills in their community, and be in their first semester of 12th grade. Once a person is accepted into the program, he or she has to meet with Posse staff and peers once a week throughout their senior year. During the two hours a Posse scholar spends with his or her peers, they attend two-hour workshops that are mean to enrich the scholar in various areas. Another component of this program is the Dynamic Assessment Process (DAP). This is a three-part screening process, in which students indicate their favorites amongst the list of partner schools. At the second level, you get to choose whether or not to proceed to the third level. If you get into the third level, you are required to go to the college chosen for you. If you are a part of this program, you also meet with Posse peers and mentors throughout your years in college. Karen Abbas, who graduated from BSGE last year, went to college through the Posse Program. She is currently at Colby College and said that going into college through the Posse Program “made the transition easier.” She also said that IB really did help her become better prepared for college courses. 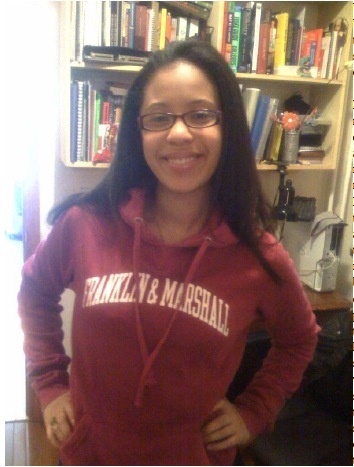 BSGE senior, Argemira Florez is another Posse scholar and is attending Franklin and Marshall College in the fall through the Posse foundation. She says that the program “was very helpful partially because [she] got in before writing anything else for other colleges.” This program allows students to skip the whole regular college application process because they eventually, are bound to one college. But Argemira also says that “you have to be really focused on the offered colleges if you want to go to this program.” That is very true considering the program does not offer a very broad range of colleges. Overall, though, both students say that the Posse Program was a good experience and would recommend it to other students.